During the summer months most people find that their conservatory is their favourite room in the house, for some it may even be an all year round choice. Sadly it's very easy to loose interest when your treasured garden room is dull, dreary and just feels cold and uninviting. This can happen all to easily due to dust, debris, algae and mould accumulating on the roof panels and frames which besides looking awful and and spoiling the whole clean look of your home can just spoil your enjoyment of your prized conservatory or orangery which apart from your home was possibly the largest cash layout you will ever make. 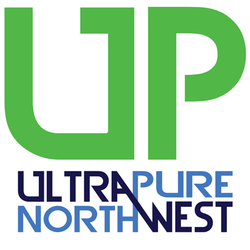 Ultrapure North West can bring the light back into your garden room and give you back that enjoyment of it quickly and easily with a professional pure water clean safely from the ground using purpose made brushes and deionised water. Mild plant based degreasers may be used on more heavily soiled surfaces but the solutions we use are eco, plant and animal friendly. Why not complete the transformation with a full interior conservatory valet clean which includes the window panels, roof interior and all frames bringing your orangery or garden room back to as close to new condition as it could ever be. Mould and algae can do more than stain the surfaces it can spoil seals etc so put a stop to any damage with a regular yearly clean from Ultrapure North West. We clean Conservatory's and Orangery's in Leigh, Bolton, Wigan, Warrington and across the rest of Lancashire so contact us today.